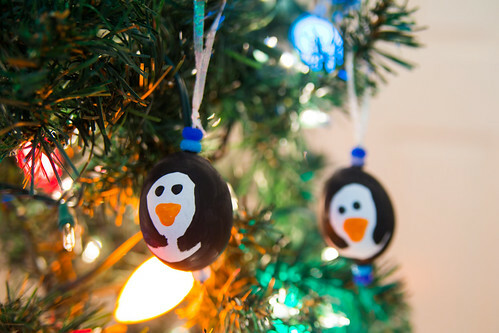 How to Make Blown Egg Ornaments Painted Like Penguins! 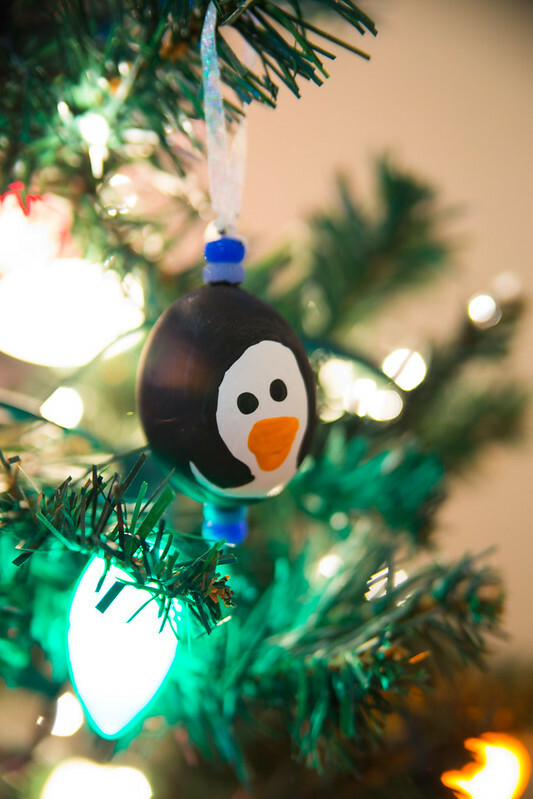 I’ve always wanted to try making blown egg ornaments, but it always sounded like it’d be really complicated and hard. But then I actually made one, and realized it’s super easy! 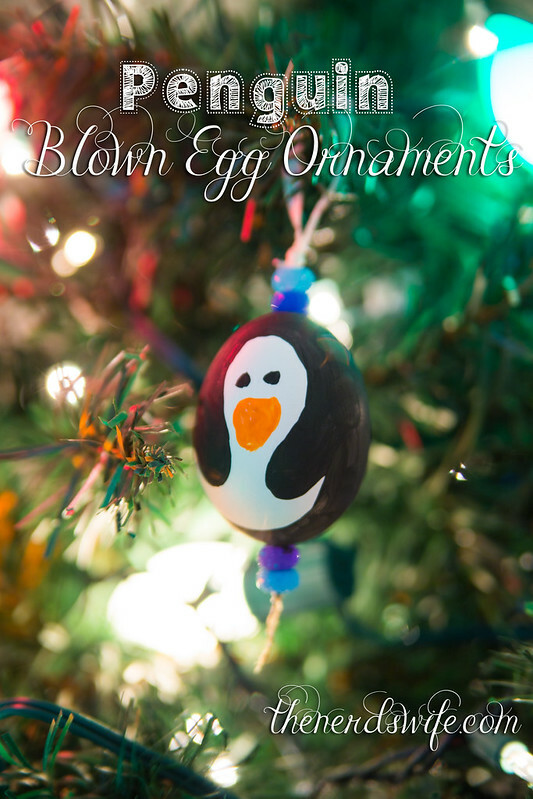 I wanted to share How to Make Blown Egg Ornaments using Goldrich Eggs. Goldrich Eggs are are cultivated using incredibly high standards at every step (the right hens fed the right diet) to ensure that your eggs will have the rich, golden yolks you love. They are offered in select locations across the US — click here to find a store near you that carries them! Their large, golden yolks make it really easy to remove the insides from the eggs when blowing them out. Which is exactly what you want! Place your eggs in warm water for about 10 minutes. Dry them with paper towels. Use the push pin to make a small hole in each end. Straighten your paper clip, then insert it in one end and swirl it around to scramble the insides of the egg. Use the nasal aspirator to blow air into one end of the egg, pushing the liquid out the other end into a bowl. Continue until all the liquid is gone, and rinse out your egg. String the ribbon onto the embroidery needle and push it through the two holes. Add beads to either end and tie a loop at the top of the ornament. 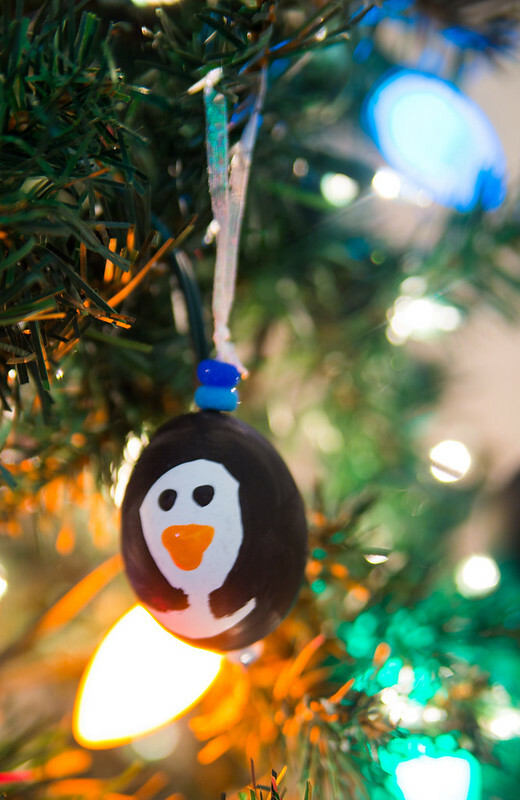 Use the place paint to make a penguin face onto the ornament and then paint a beak with the orange paint.